Designed to put you in charge of the ever-changing content of files, ring binders, catalogues and filing trays, there are label holders in a range of sizes, each with replaceable paper inserts that you can write or type on, and with a small finger hole to make it easy to insert or remove each insert. 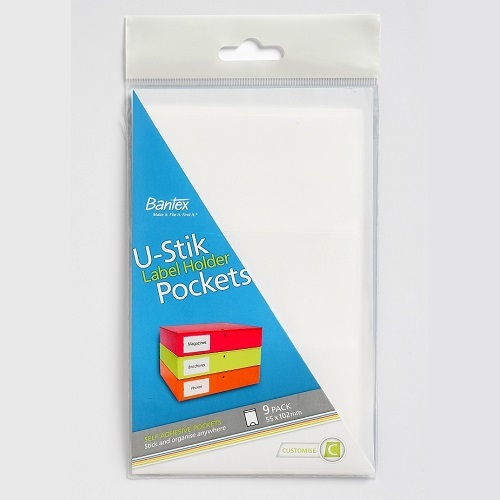 Self-adhesive Label Holder Pockets, Stick and organise anywhere. Ideal for labeling magazine holders, binders and general labeling for identification. Complete with a small finger hole to help insertion or removal of each insert. 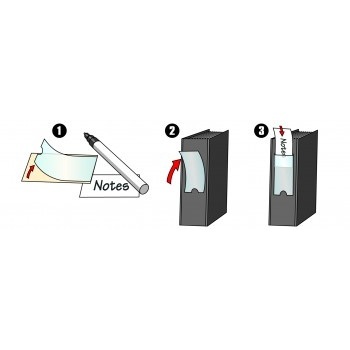 Pack of 12 self adhesive label holder pockets with replaceable paper inserts.. 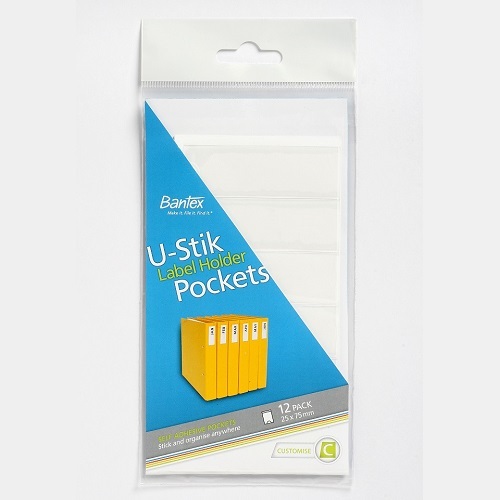 Pack of 9 self adhesive label holder pockets with replaceable paper inserts..